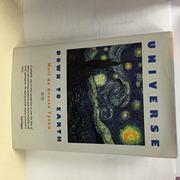  Readers who find the physical sciences intimidating might profit from a look into this witty and accessible introduction to the foundations of modern science, with an emphasis on astronomy, by Tyson (Astrophysics/Princeton). The book is more a collection of related essays than a unified whole. Tyson begins with several cornerstones: numbers, measures, methodology, and terminology. The approach is often irreverent and whimsical: The chapter on the numerical prefixes used in scientific work concludes with a series of groan-inducing puns; the survey of astronomical terminology divides its material into such categories as ``Terms that sound like diseases'' and ``Terms with too many syllables.'' On the other hand, his discussion of the philosophy and methodology common to most sciences maintains a serious tone while using analogies from common experience (sports cars, lawn sprinklers, The Wizard of Oz) to hold the reader's interest. Perhaps the most valuable section of the book is the middle third, where the author discusses such important concepts as the electromagnetic spectrum and the Periodic Table of the Elements- -clarifying basic principles for the novice and providing food for thought even for those who consider Scientific American a good read. His chapter on the center of mass covers a range of subjects from high-jumping technique to black holes and subatomic particles, vividly and with easily grasped examples. The third section of the book covers astronomy, including a hilarious survey of the constellations and a gleeful demolition of astrology. The ``Suggested Reading'' list includes a wide range of generally accessible periodicals as well as useful books on all the aspects of the sciences discussed. Well-written, authoritative, and almost always entertaining- -highly recommended.